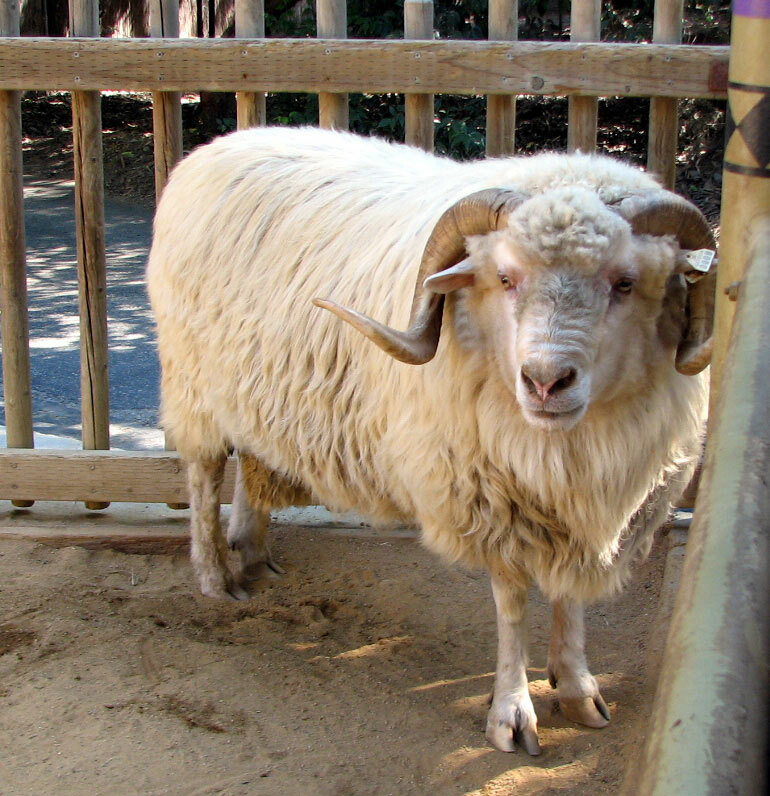 "For as long as anyone can remember, Churro sheep have been central to Navajo life and spirituality, yet the animal was nearly exterminated in modern times by outside forces who deemed it an inferior breed. Now, on a Navajo reservation of northern Arizona and New Mexico, the Churro is being shepherded back to health. The Navajo Nation is the size of West Virginia, and at last count, 175,000 people live here. Most people are spread out in small clusters that you see off in the distance from the highway. Amongst modern prefab houses and hogans, the multisided traditional homes of the Navajo, are often corrals with small bands of sheep grazing nearby. "Sometimes you find me, and I just want to sit in the corral with them," Navajo weaver Roy Kady says. "Just find a corner and I sit there. They motivate me, even just to see them; it's that strong to me." Churro sheep are smaller than most breeds and have a long, wavy lustrous fleece that is valued by Navajo weavers like Kady. He lives near Teec Nos Pos, where he's chapter president — sort of like being the town's mayor. For him, this flock is part of something larger, something he calls "din'e bi iina," the Navajo lifeway. "Din'e" is the preferred name for the Navajo, and "bi iina" means "lifeway." "Sheep is your backbone," Kady says. "It's your survival. It's your lifeline.""